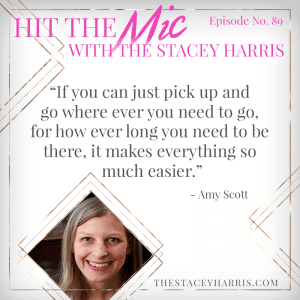 Although today’s episode is all about being location independent, it’s not all about giving up your home and traveling full time. Part of the reason we started our businesses, and the biggest luxury of an online business is to be able to work from anywhere, but if you needed to could you? Also if you do want to give it all up and become a nomad, today’s guest is showing us how.